Much has been written about the threat of arms proliferation in the wake of the collapse of the Qaddafi regime. The UN Security Council has heard from the United Nations Inter-agency Assessment Mission to Sub-Saharan Region that “Governments in the region are faced with… the smuggling of weapons from Libyan stockpiles”. IPS news quoted a former rebel as saying ““All of the militias are involved in selling weapons. There is no law in Libya, still no functioning government, and the country’s security forces are too weak to control the situation, so selling weapons is regarded as legal by many of the rebels”. Whilst much of the international community’s attention has been focused on the threat of Libya’s MAN Portable Air Defence Systems (MANPADS), small arms such as these assault rifles are responsible for 60-90% of worldwide conflict fatalities each year. 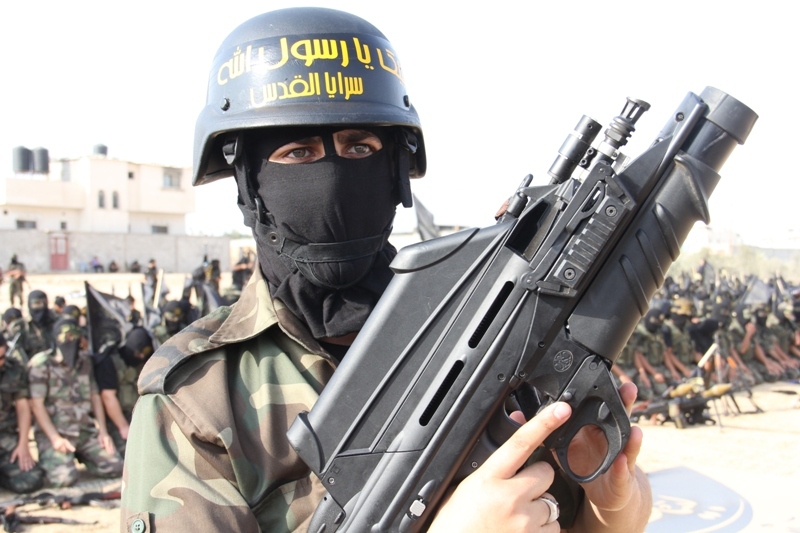 The photo was taken from the PIJ al-Quds Brigades website. This entry was posted in Weapons Systems and tagged 40x46, 5.56x45, 7.62x39, AK-103, AK-103-2, F2000, FN Herstal, Gaza, IZHMASH, LG1, Libya, proliferation, small arms by N.R. Jenzen-Jones. Bookmark the permalink.